Jacqueline L. Weaver is the A.A. White Professor of Law at the University of Houston Law Center. Her teaching and research interests cover oil and gas law, energy law and policy, international petroleum, and environmental and natural resources law. 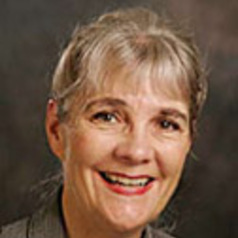 She is a co-author of the nationally used casebook titled Energy, Economics and the Environment, and the treatise International Petroleum Exploration & Exploitation Agreements (Barrows Publishing 200 9). She also coauthors the Texas Law of Oil and Gas, a 3-volume treatise updated annually. She has lectured on topics in international petroleum transactions in Africa (Uganda, Angola and Namibia), Kazakhstan (as a Fulbright scholar), Lisbon, Bangkok and Beijing and is a frequent conference speaker in the US. She has written articles on energy markets, sustainable development in the international oil industry, comparative unitization laws in oil -producing nations, energy policy, and traditional oil and gas law topics. Professor Weaver holds a B.A. in Economics from Harvard University, a Candidate of Philosophy degree in Economics from the University of California at Los Angeles, and a J.D. degree from the University of Houston Law Center .She worked in Corporate Planning and Marketing for Exxon Co. USA from 1971 to 1976.